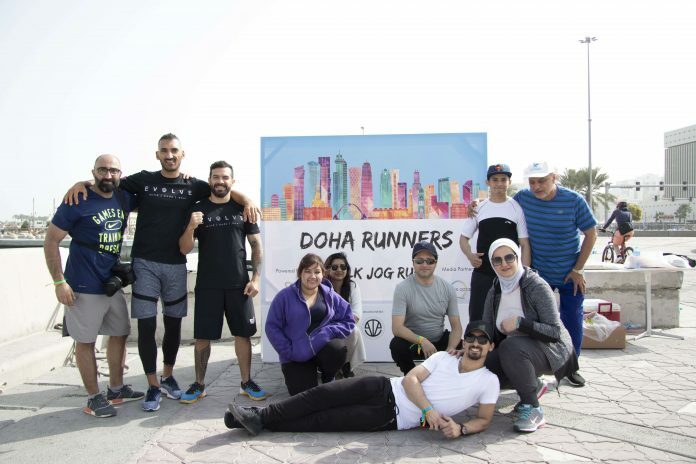 Doha Runners, powered by Socialite and This Is Qatar has returned for the 2nd time this year to kickstart 2019 on a healthy note. In partnership with Evolve, the event took place at The Corniche starting from The Pearl Monument. With the slogan ‘Walk. Jog. 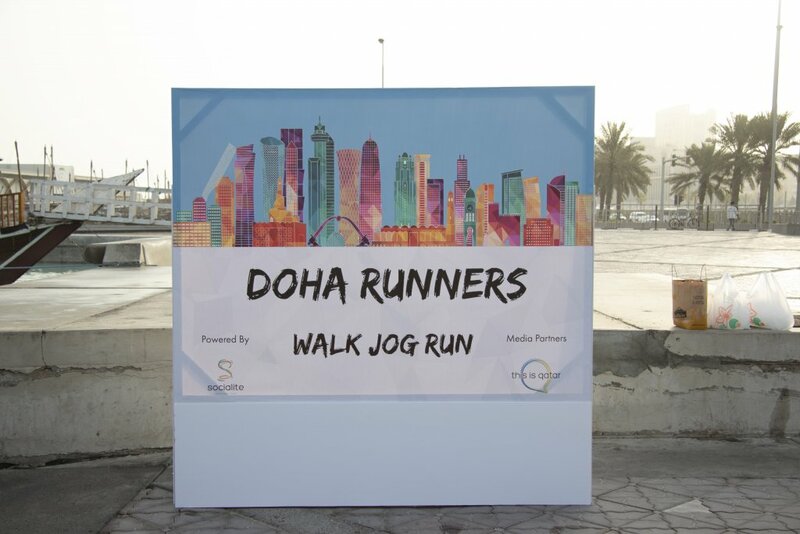 Run’, the event attracts anyone and everyone to participate and go through the 5km at their own pace. The event started off with a warm-up session by Evolve, getting everyone to stretch and get ready for the marathon. After the warm up session, we had a few of our attendees who started to run towards the stretch, while others either jogged, sprinted or walked. Throughout the stretch, there were 2 stations where participants received different colored ribbons to indicate they completed the marathon. It was a refreshing way to start the morning with suitable weather conditions. Everyone got along their friends and family to join in and take action towards a healthy lifestyle. Healthy snacks and refreshments were served after the event, aligning with our concept to promote healthy living and wellness. We are very proud to host an event that involves the community to participate in activities that boosts wellness and vitality. A big thank you to Evolve for partnering up with us for the 2nd time! Visit their website at http://www.evolvemindbodyandsoul.com and learn more about their wellness services.  Shop Qatar with dazzling shopping offers, entertainment & fashion.